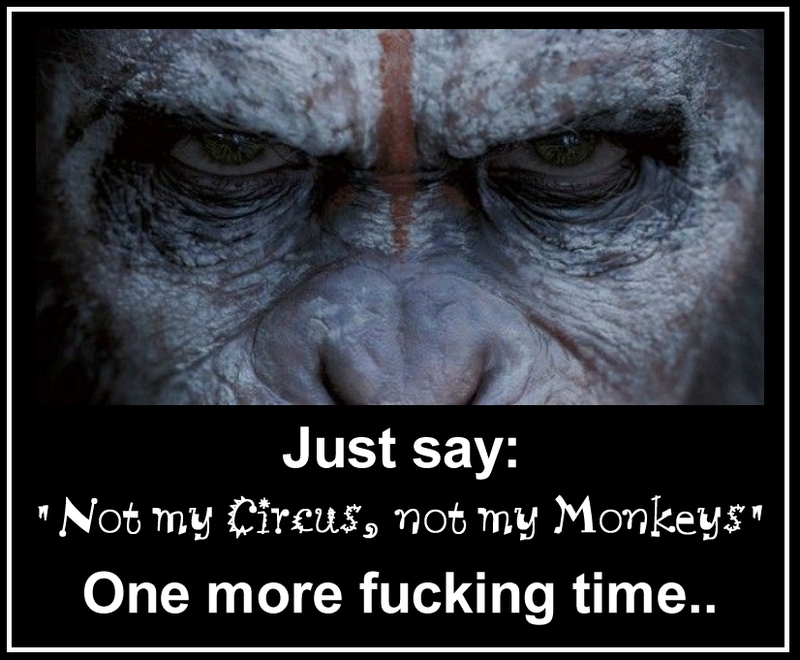 There’s a little Polish saying; “Nie mój cyrk, nie moje malpy” which translates as “Not my Circus, not my Monkeys”. Which in context can be an appropriate and very witty thing to say. Where an employee makes ‘the dog ate my homework’ type excuse, or someone’s being a drama (Or in the case of Buddhists a dharma) queen over a trivial issue unrelated to the task in hand. It’s a way of telling them to get on with it and stop wasting your time. However; like all sayings there comes a time when it can get a little wearing.